Your first investment property purchase is often the hardest. There is so much to know and so much you don’t know that it is really hard to be confident when investing. 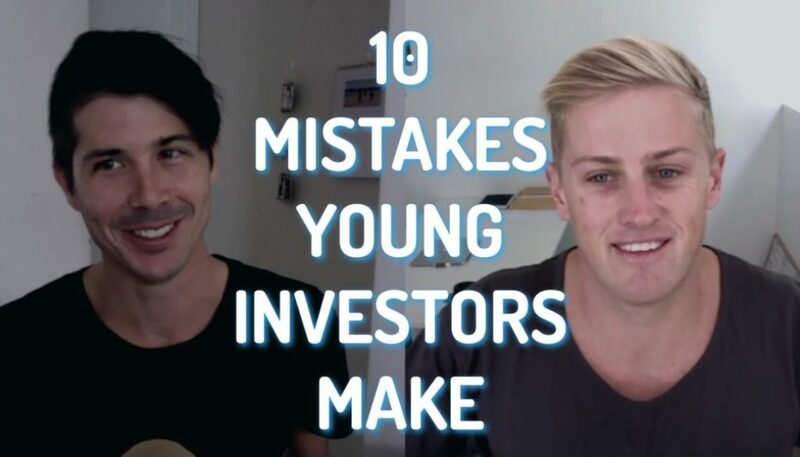 I can’t give you everything, but what I’m going to do is to give you my 20 most important things that you need to consider when purchasing your first investment property and hopefully you can use this as a guide to help you make some wise decisions. A lot of people say to use you head and not your heart when you are investing in property, but realistically I think it’s impossible to leave all the emotions out of it. One mistake that I do see people make however, is that they get so emotional about things they rush into a decision. Rushing a decision is one of the worst things you can do because when you are first looking at the investment property market, you don’t know a lot so the chances of you buying a property incorrectly are very high. It’s also possible that real estate agents (or whoever you are dealing with) will see your inexperience and treat you unfairly. So take your time and make the decision from the onset that you will give yourself time to look and make a decision, even if you have to force yourself to wait. Waiting is crucial and it ensures that you are not rushing into something and making a poor decision. 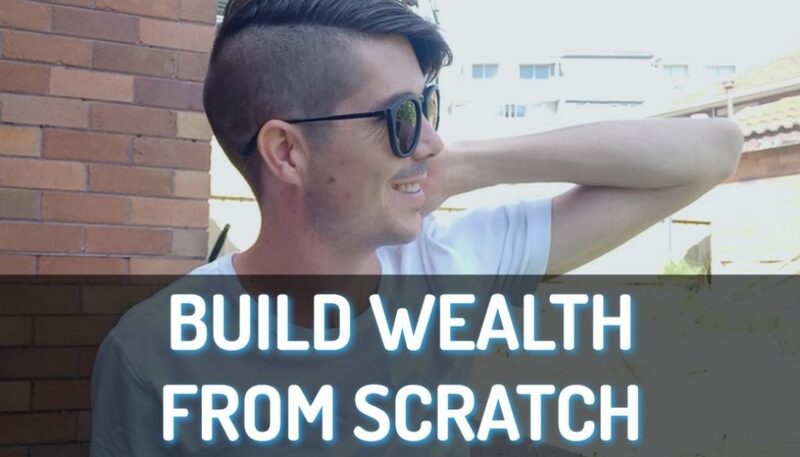 Many investors go into a property wanting to make money but they don’t actually have solid financial goals set out as to exactly what they want to achieve and in what time frame they want to achieve it. Believe it or not, knowing those two things can really help you make a better investment decision. 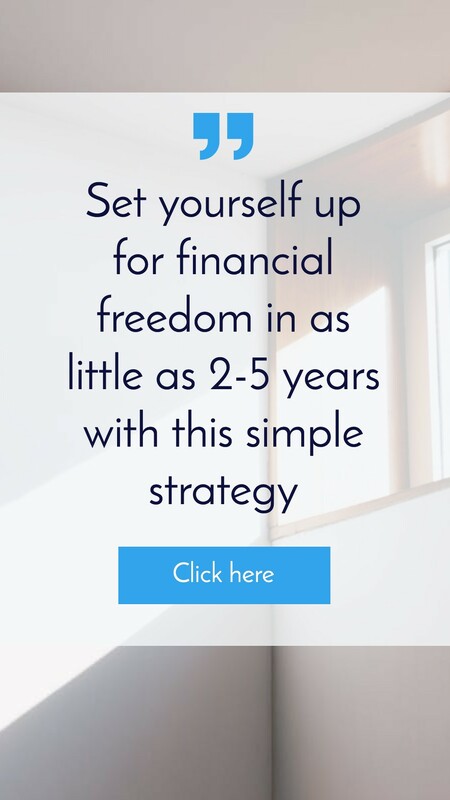 When you know your financial goals, you can analyse properties with those goals in mind and decide whether or not the property is going to help you achieve them. However, if you don’t know what you want you are going to be very lost and never actually move forward towards what you want in life. Always sit down and take the time to set financial goals and then analyse the property based on that. 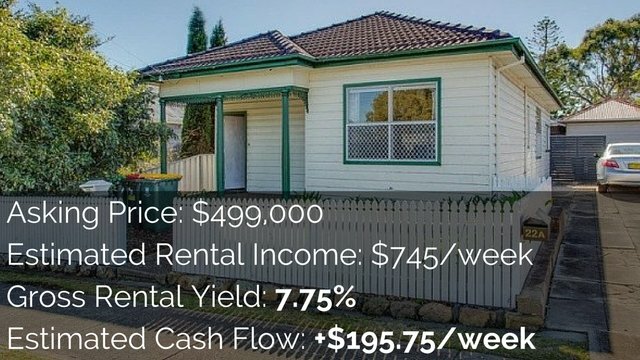 Whether you are purchasing a property that is negatively geared (which a lot of investors do) or you are purchasing a property that is positively geared, you need to asses the cash flow. You also need to decide whether or not you can afford this property and if it’s going to deliver the income that you want. There are so many different aspects that you need to consider before you invest and you have to make sure you take them into account. If you want help with actual calculations then use the Advanced Property Calculator which works on you mobile phone and you can enter the figures and it gives you what figures you need to take into account. If you are not an On Property Plus member, you need to become one in order to access that feature. Find out more. What type of houses do people want to live in? Is it all in one sector and is that likely to improve as the future progresses? How much government housing is there in the area? What are the capital growth trends? What’s the potential rental yield of the property? And there are many more aspects you need to look at when you are researching an area. I am not going to go into full detail, but if you are an On Property Plus member there is a full module about how to do research in an area. A lot of people go into property and they have no idea about when they are going to sell the property or how they are going to exit. 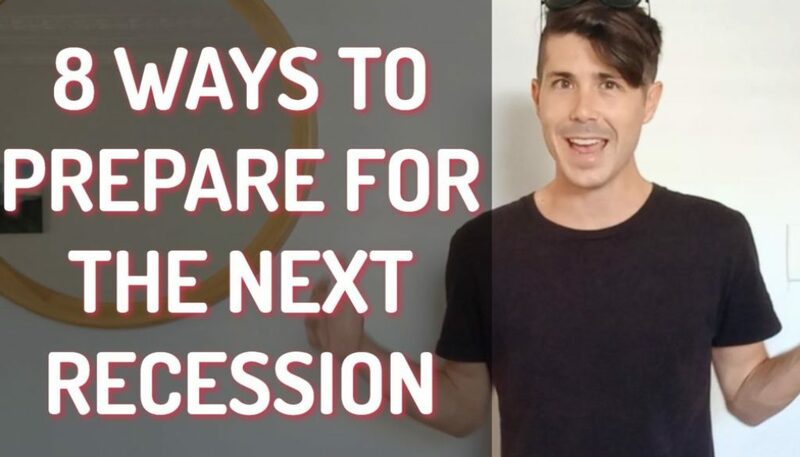 It’s really something that you should think about even if you are planning to own the property long term because you need to consider that your financial situation may change in the future. It is important to know when buying a property that you will be able to exit and get your money back or at least make a profit from it. When saving their deposit for a property, many people only think of the deposit that they need to save. But you also need to estimate stamp duty (which is a massive cost) and other expenses like legal fees and inspections. When purchasing a property, make sure you take stamp duty and your other expenses into account. The mistake that a lot of people make is that they simply go to the bank that they have their account with and expect that bank to give them the best deal but this is not the case. You are just one person and banks are used to dealing with thousands of people. My recommendation is to see a mortgage broker who can give you access to multiple lenders and explain the different types of loans and even suggest a loan that is going to be best suited for you. If you want to get in touch with the mortgage broker that I personally recommend, then click here and put in your details there and my mortgage broker will get in touch with you. 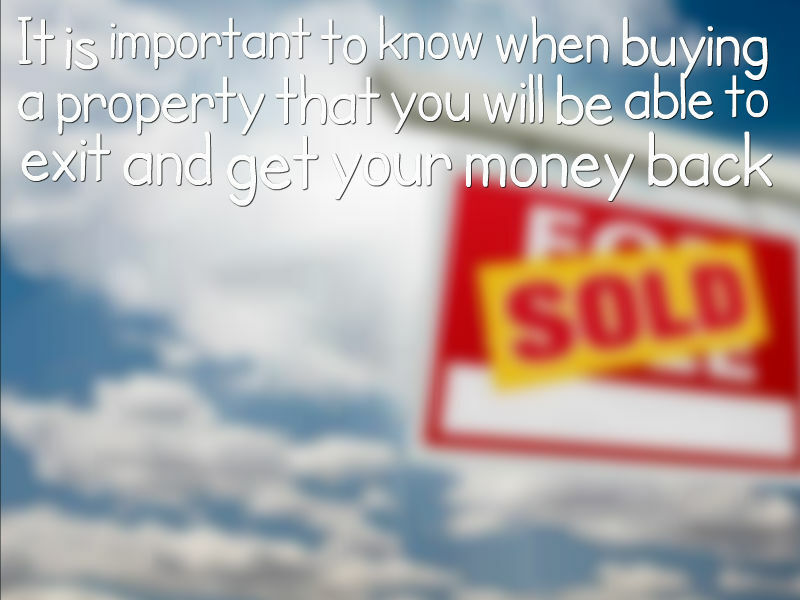 Don’t just think about the property you’re purchasing today. Think about the properties that you want to purchase in a year or two and then analyse the property today to see if it is going to help you purchase that second or that third property. So many people decide against building and pest inspections because of the costs associated with them which is around $300 or $500 a piece. But to purchase a building that is structurally unsound and that needs massive work is going to cost you way more than S300 to $500, making inspections well worth their expense. You can even use those reports in your negotiation with the vendor and possibly get the price down on the property. What are they likely to generate in cash flow? What are they likely to generate in capital growth? How does your portfolio progress through the years? 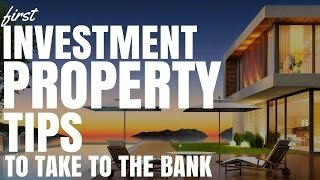 By doing this analysis on multiple properties you can begin to see what a good property looks like and what a bad property looks like and that can save you thousands of dollars. To do an analysis within seconds, the Advance Property Calculator is the best tool. It is a part of the On Property Plus membership. People go into an open home and they’re not looking at what the property can be, only what the property is. They even restrict themselves to what furniture the existing owner has in the property. 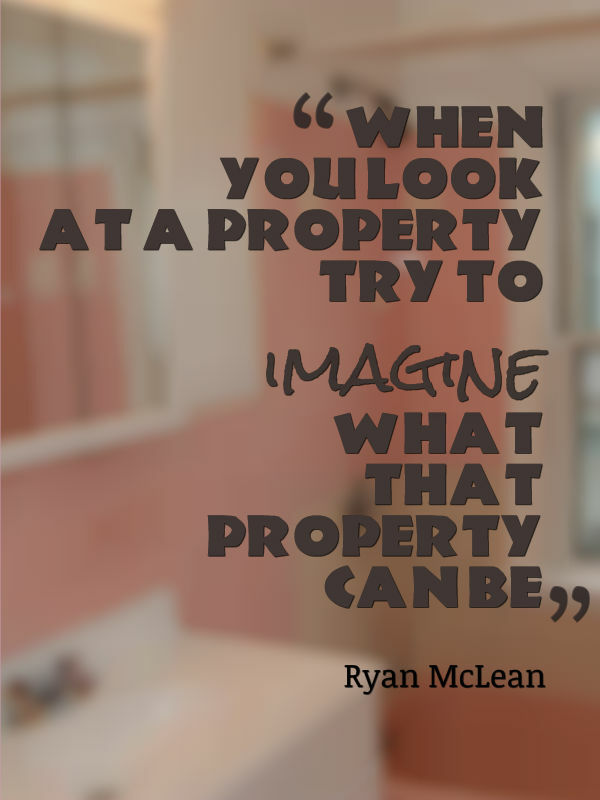 So when you look at a property try to imagine what that property can be. In a lot of cases there’s going to be older properties where you can take down walls that aren’t supporting the structure and turn an out-dated house into an open plan living area without too much money. Doing this can increase your rental return and the value of the property. There are so many different ways that you can increase the value of your property, so don’t go in with your blinders on and only see what’s there. Use your imagination and have vision as to what that property could be. After you have purchased your investment property get a depreciation schedule done. A depreciation schedule is a report that is done by a quantity surveyor to estimate the building costs and also to estimate the value of the items in the building that you can depreciate. As those items go down in value over time and get older, you can claim that against the income of the property which can have massive tax benefits. 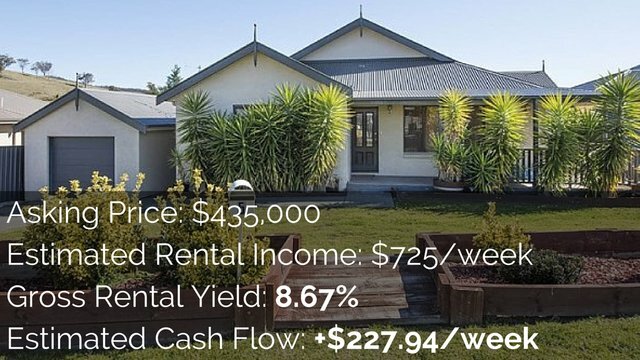 Many investors go into investment property and just decide to self-manage in order to save the 6% or 7% their rental manager would charge them. But this is going to be a great deal of work and a pain in your–well, you know. It is extremely difficult to manage a property and it might not be as easy as you think. But by having a rental manager in place, they can make sure that the rents come in, they know what to do if things go wrong and they know what to do if your tenant doesn’t pay on time. Overall they can be a massive asset and well worth the percentage that you pay them. Rather than just doing a cash flow analysis and seeing it’s positive cash flow, think about the long-term status of that property. Is there going to be long-term rental demand in that area? What are the prices of properties likely to be in the future? Is a large-scale development about to happen (which is going to create competition)? All of those questions are vital to ask yourself in order to know how a property might do in the future. In On Property Plus I show you how to find out a rental estimate using online tools, but I think the easiest (and the best) way to do it is to simply call the real estate agent who is selling the property (or other real estate agents in the area) and just ask for a rough rental estimate of the property. Your rental estimate can then help you do your cash flow analysis so you know whether it’s going to be a good investment or not. Also when getting a rental estimate, it’s important to find out what the vacancy rate of an area is. This is something that I learned from Ben Turner (who I interviewed in episode 102 and 103) when he talked about investing in low socioeconomic areas. He said that the best way to find out what an area is like is to walk the streets and have a look at the houses. Are there a lot of cars on the front lawn (which can be a sign of low socioeconomic areas)? Are houses well maintained? Is there variation between houses that are really nice and houses that are old (which could be a sign that the area is up and coming)? So walking through the streets and getting a feel for the area can be a great idea. Make sure you interview two or more property managers. Don’t simply go with the person who sold your property and assume that they are going to be the best rental manager because in a lot of situations they’re not. Interview different rental managers in the area and choose the one that you feel you can work with best. And an extra tip is most rental managers have a clause in the agreement which says you need to give them at least three months notice before you can terminate your contract with them. Just make sure that you get that removed from the contract because if they are a crappy rental manger you’re not going to want to hold on to them for three months after you have already told them that you don’t like them. This would be a horrible situation for everyone. So talk with your rental manager and discuss your concerns and why you would like to have that clause removed. You need to look at two different aspects of your body corporate fees: the regular fees (the quarterly fees). If you’re purchasing in a unit that has features like a pool and gym, that’s actually going to cost you more and may affect your cash flow. Then you need to look at the sinking fund and major works that need to be done because if a property is old and the the unit needs a lot of work, you might have to sink $10,000 or $20,000 into that property in order to fix something that’s communal and doesn’t really add value to the property. Definitely look into your body corporate fees and the sinking fund as well. Many new investors go into a property purchase and they haggle to get the cheapest price possible but that’s not the only way to get a great deal. You can go in and haggle on the terms as well as the price. For example, you can talk about things like early access to the property to do renovations before you own it or even a longer/shorter contract. You can do a different things with the terms that ensure you get a better deal and that the owner or the vendor will be happy as well. Knowing that the property has been on the market for a long period of time can allow you to haggle on the price. 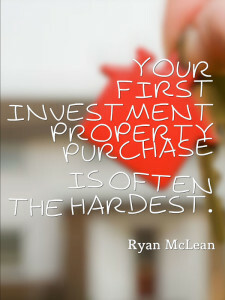 Whereas if a property is fresh in a very hot market, you may have to move faster. It’s also a good idea to find out the previous sales history of the property and compare that against the capital growth that the area has had. There are different ways that you can do this. You can get all the details to find out how long it’s been listed for and the previous sales history, or you can become an On Property Plus member.